Create a more custom look by matching your door hinges to the door knobs, handle sets, or lever handles that you choose for your new home. Our hinges are available in four plated finishes to compliment our door hardware. Hinge pins are removable. Choose from Satin Nickel and oil rubbed bronze. SOLD IN PAIRS. Mounting screws provided. Replaces most standard residential door hinges. Be sure to verify corner radius before ordering. I replaced the builder's brass finished hinges in my entire house with the Sure-Loc Satin Nickel finish hinges. The hardware arrived quickly and installation was easy. I can't believe I waited so long to swap out the hardware. Price was low and quality fantastic. My contractor had to fabricate a door for a linen closet & I wanted oil rubbed bronze to match my handles. These are heavy duty and work well. Did not come with enough screws. 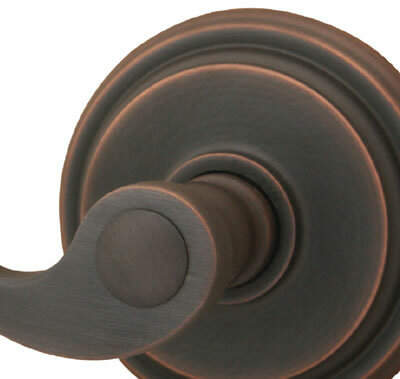 I purchased the oil rubbed bronze door hinges to match the ORB doorknob that I installed on our master bathroom door. Hinges look very nice and were easy to install. Was great finding hinges for a 34 year old door! Very easy install and they look great! Might want an old towel to wipe them down once install though, as there is some kind of grease film on them from packaging and to help the hinge move smoothly. Very easy swap with the original brass hinges that were installed when house was built. The hinges were exactly what I expected: good quality, correct size and reasonable delivery time and price. I will use you again for products I need and you sell! Fit perfect. As I was looking for replacement for the brass hinges all over the house I didn't realize these things could cost so much. When I found this site, I was hooked! 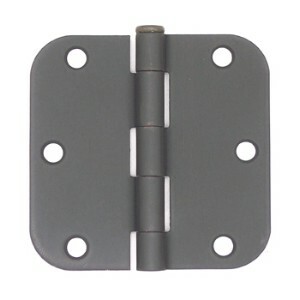 excellent quality hinges. contractors had no trouble installing. Hinges difficult to find in stock in hardware or bigbox stores, but readily available on this site and shipped to me pronto. Installed as expected, looks like it should, and functions great. We put these hinges on all the interior doors in our home. The product was good quality. arrived on time, and was as ordered. Purchased for a bathroom remodel, this hinge was a good quality and paired with a knob with the same finish. 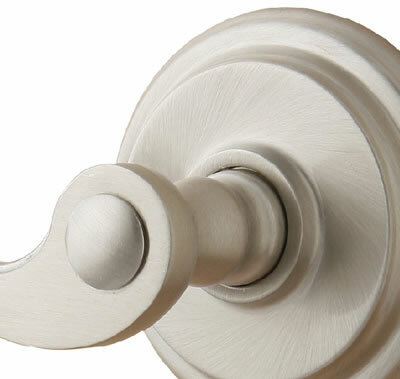 The antique nickel is definitely a nice, soft grey that works well in the room with the other hardware we have. These match my baldwin knobs exactly and were much more cost effective and extremely easy to install. Product exactly as stated, and easy to install. Very fast shipping from this company. Are these hinges brass or steel? Are your residential ball bearing hinges thicker than the standard residential hinge? 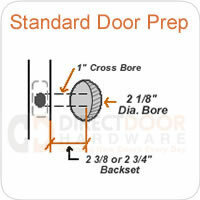 I am replacing the contractor installed door hinges on my current doors. Would like to use ball bearing but do not want to have to refit door frames.